My week was chaotic and productive at the same time. I had finished my first book on Monday, eager to write a review and start on the next one. But best laid plans and all…that day was the beginning of the end of those good plans. In the midst of my frenzied activity, my laptop died. But I bought a new one and took it to the Geek Squad for setup and data transfer. All good, right? Not so good. Two days later it was still not finished, and I was in a long line at the DMV for my DL renewal and REAL ID completion. I came through that within two hours, and successfully, but then that night, my temporary bridge fell out when I wasn’t even chewing on that side! The next morning, I headed to the dentist, while regularly checking on the status of my new laptop. Meanwhile, I finished reading book #2. Thursday night I got my laptop! Before I went to sleep, I started learning how to navigate it, and wrote one review. On Friday, I wrote another one…and two blog posts. So..a minimal amount of progress, but I felt exultant that I had come through the week in one piece. Sort of. So…let’s take a closer look…and grab some coffee. Empty mailbox…but I downloaded two e-books. I’m currently reading In Pieces, by Sally Field: an American icon tells her story for the first time, and in her own gorgeous words—about a challenging and lonely childhood, the craft that helped her find her voice, and a powerful emotional legacy that shaped her journey as a daughter and a mother. That was my rather turbulent week, ending on a more serene note. What did your week look like? Before the week turned completely chaotic, I relaxed with this pumpkin cheesecake pie. Yes, I had to have it again. Great books for you this week! In Pieces looks like a very interesting read. Thanks, Britt, I’m loving the book…and I’m thrilled that I finally have my new laptop. Although already I’m experiencing some glitches. Hmm. Isn’t it wonderful when after some chaos things sort of fall into place? I bet you love tour new laptop! Thanks, Patty, I do love it when things fall into place. I didn’t think I was going to get through the week! Glad to hear you’ve got a working laptop again, sorry to hear about the bridge falling out. A Well Behaved Woman looks good. Hope you enjoy your new books and have a great weekend. Thanks, Katie, it has been a tough week, most of it without a laptop, so I’m very happy to have one again. Now I can relax with my books. Thanks, Jackie, hopefully I’ll be zooming along on this new device in no time. It always takes me a little while to adjust. Yikes what a tough week you had: DMV, dentist and computer start-up, ugh! I think you deserve a good margarita. Hopefully next week will be more serene for you. I just got back from the desert – things were good there. Cheers. Thanks, Susan, I will treasure any moments of serenity I can find! And hopefully the new week will be less stressful. Your week sounded good…enjoy your new week. This was a good reminder that I need to put Sally Field’s book on hold at the library. Hope you have a great weekend! Thanks, Hallie, I am loving Sally’s book. I had planned to read it along with a thriller, but I’m so immersed in it that I can’t put it down. And here’s to a quieter week coming up! I have cancelled my order for In Pieces at the Book Depository and will go to the local store to buy. I heard it get a very good review on our local radio too. Of course we of a certain age remember the days of Gidget and the Flying Nun! Thanks, Kathryn, I hope you enjoy it! And yes, there was Gidget. The Flying Nun was not her best show, and she didn’t enjoy doing it. I learned a lot more about her in the book, even though I’ve followed her in magazine articles over the years. I am looking forward to a quieter week, too, and I really missed visiting blogs on a computer…the iPhone didn’t do it for me! Oh no! A rough week, sounds like… hope this one is better, and with no unscheduled tech hiccups! The Nicci french book looks good. Thanks, Greg, I am so looking forward to a week free of any kind of hiccups. So far, I’m slowly adjusting to the new laptop and recreating passwords right and left. But at least it’s here! Enjoy your week. What a week! That’s the kind of week that you’re glad has ended before one more thing can go wrong. Glad everything ended up on a good note and hope you have fun with the new laptop! Any DeMaio book is worth a read, and I hope to get my hands on a couple of her seasonal titles soon. They’re a good comfort read. (and your pie looks like a good comfort dessert, lol). Thanks, Rita, and yes, the week is over, with the DMV and dentist behind me (for now). I hope to curl up and read today, watch some TV, and maybe take a nap! Sorry to hear about your laptop. Mine wasn’t working properly for a little while too, so I know how stressful it can be. Yes, Maureen, I did love sweetening the week with the dessert…and a couple of good books. Enjoy your new week. I’ve always liked Sally Field. I’m interested to know what you think about her book. Thanks, Laurie, I should be finished very soon…and I’m loving it! Have a great week, and thanks for visiting. Urg! Dentists and new computers – I hate having to get to grips with a new computer as I tend to bond FAR too strongly with the one I’m using… Kudos to your for getting through a hard week unbowed! I saw Sally Fields on the Grahem Norton Show and was very impressed. Not only does she look AMAZING for her age – she is also smart and funny without taking herself too seriously. I look forward to reading your thoughts on this book. Thanks, Sarah, I should be finished with the book shortly. I have always enjoyed Sally, and in recent years, the show Brothers & Sisters was a favorite. I clung to my old laptop until I no longer could (it kept shutting down on me! ), because I love familiar routines and familiar devices. Sigh. I’m adjusting to the new. Please accept my profound commiserations on the tedious task of bonding with a new computer! Like you, I far prefer the familiar… Have a BETTER week, Laurel! Thanks, Sarah, sometimes it feels like an impossible task…and then I have a day in which everything seems to flow! A well behaved woman.lol great title. My week is okay. I still might go to the soap box haunted house. You need a waiver to get touched by the actors. Hmm, sounds like a unique experience, Trin Carl; I hope you enjoy it. Thanks for stopping by. The DMV and dentist did distract me a little from the defunct laptop, and wondering why it was taking so long to set up the new one. I am sorry to hear your laptop died. Ughh what a pain. That pumpkin cheesecake pie makes me want to run out and get one myself. Yummy!! I went on a buying splurge last month and didn’t want to get out of control as It is leaking into my living room now. =) So I have put a halt on buying any more books for now. It is hard not to buy books…this week, I only bought two, as you know, although I sent off to Amazon for a new laptop cooling fan…it should arrive tomorrow. I love speedy Amazon! Enjoy your week, Mary, and thanks for visiting. I love the picture of your coffee and the book stack! And yaay for a new laptop! Thanks, Andreea, I am very happy about the new laptop. My old one was called Louisa May (after Alcott), but I have not yet chosen a name for this one.Enjoy your week! OMG you did have a chaotic week. I was just commenting on Ti’s blog (she had one too) that the older I get the less I can cope with these kinds of annoyances that interrupt our life. Hope this week is better. Thanks, Diane, and I agree completely about how difficult it is to cope when life throws things at us and puts us off balance. I am definitely hoping for calm and serenity in the week ahead! Enjoy your week. You had a tough week! You earned a nice quiet weekend and some more cake too. Gosh what a week you had! I’m glad it ended better than it started. Here’s to an easier week ahead – and good books. Thanks, Mary, I am definitely hoping for an easier week ahead. I’m starting to adjust to the new computer (knock wood!) and finished the Sally Field book, which grabbed me from the beginning, and had me in tears at the end. That was a week full of unexpecteds. It’s harder to adjust when you’re already full up with stuff also. I hope the new computer will be great. Thanks for visiting, Anne, and I still need to read the previous book by Paretsky, Fallout, which is resting on my Kindle. Wow, you had a tough week. I hope this one is better. Enjoy your new books and laptop! Thanks, AJ, I am loving my books and my laptop. I need to choose a name for her. I look forward to your thoughts on the Sally Field book. She is one of my favorite actresses. I love the takraw balls in the bowl on your desk in the photo. I have been to Thailand 3 times and recognized them right away. I loved it, Jo, and now I’m watching everything I have in which she starred. Older movies and recent shows on Prime. I’m quite fond of those decorative balls! What an aggravating week for you! Hopefully this week will be much better. Definitely! I got through it, though, so I’ll be stronger now. Lol. Thanks for visiting, Yvonne. Good grief! I don’t think anything else could have possibly gone wrong for you last week. Let’s hope for a better week coming up! You’re right about that, Deb; here’s hoping for a better week ahead. Pumpkin Cheesecake Pie sounds delish. The cover on your device is great. And it sounds like you’ve been productive than me! That’s supposed to say *to* me. Sorry for the troubles that you faced this week, but I am glad at the end of the week, everything sorted out. And still, you managed to read two book sand wrote so many posts. That’s commendable. Thanks, Sim, I was so grateful to get through it all! Now I am adjusting to the new laptop, still unnamed…I must rectify that! I think the perform better if they feel part of the family…lol. I’d be lost without my laptop too! But all things considering, you still got a lot done this week. Glad you’re enjoying Sally Field’s bio. I saw it at Costco and was tempted to buy it. Enjoy your new books! Thanks, Laura, I am happy about the new laptop, although I am still adjusting. Enjoy your week! I finished the Sally Field book yesterday…and loved it. Bummer, but at least you got it all done now. Hope this week is better! Thanks, Gayathri, I am hoping for a better week! Glad you could stop by. Sounds like a rough week. Glad things are getting sorted out though. At least you got some good books read! Thanks, Barb, loving getting back into my routines…even though the new laptop still feels unfamiliar. Enjoy your week! Yikes, what a week! Congrats on managing to be productive amongst all that chaos! I’m thankful our DMV allows us to make appointments for some things, so when I got my real ID it only took about 45 minutes. Have a great week! Thanks, Aymee; I tried to make an appointment, but it would have landed after my birthday…I should have tried sooner! Enjoy your week. I hate weeks like that but I’m glad yours ended on a good note. My mom read A Well Behaved Woman and really liked it. I’m anxious to get to In Pieces. Thanks, Kathy, I am glad the week is over! I was worried that nothing would turn out right! I loved In Pieces…and then I went to Prime to start watching Brothers & Sisters, a show I loved. Thanks, Sarah, enjoy your reading. What a week! I hope this one is less chaotic. Come see my week here. Happy reading! Thanks, Kathy, it was a doozy! Isn’t it crazy that a few days without a computer is so hard! Then there’s always the adjustment to a new one and its particular quirks. Hope its going smoothly. i might pick up the Sally Fields memoir for Nonfiction november. Oh, yes, I don’t know which is harder…being without the computer, or adjusting to the new one. Mostly my new one is great…but then I hit a key wrong and spaces appear when I didn’t enter them. Crazy. Thanks for visiting, Susie. You’ve had quite a time of it lately, Laurel-Rain. I do hope this week is much much calmer. I hope you are enjoying your new computer. Both of your new books sound good! I want to read the Pareysky book in particular. I hope you are enjoying In Pieces. I don’t read a lot of celebrity memoirs, but that one interests me. I hope you have a great (and better) week, Laurel-Rain! Thanks, Wendy, I am happy to have put last week behind me, and I’ve started the week with my new laptop. I finished In Pieces yesterday, and loved it. I’m now reading Day of the Dead and watching Brothers and Sisters on Prime. Wow your week was crazy! I hope this week is going a bit easier for you! Oh, yes, it definitely was, Erin; so far, this week is much better! Thanks for visiting. 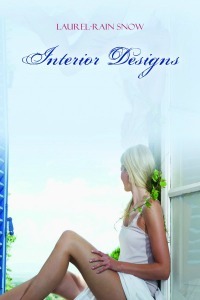 ENTER MY INTERIOR & COMMENT!